Starting tomorrow and for the entire month of December, you can park your car in any metered parking space in Hudson--on the street or in a municipal parking lot (except the lot at the train station)--and not have to feed quarters into the meter. Alternate side of the street rules still apply for overnight parking, except on Christmas Eve and New Year's Eve, and parking in the middle of the street, of course, is always verboten. 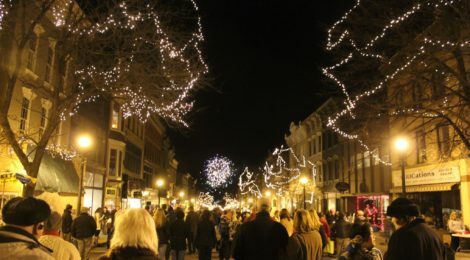 As has been the case in each of the twenty years past, Hudson Hall's Winter Walk 2017 offers much to do during the three-hour street festival that is the official start of the holiday season in Hudson. 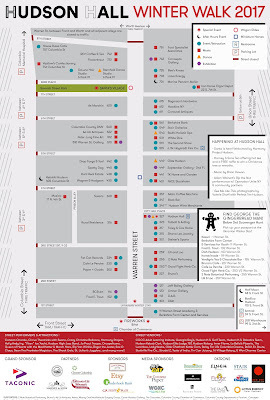 Click here to download a map and a block-by-block list of all the roving performers, in-store musicians, food offerings, and special events. 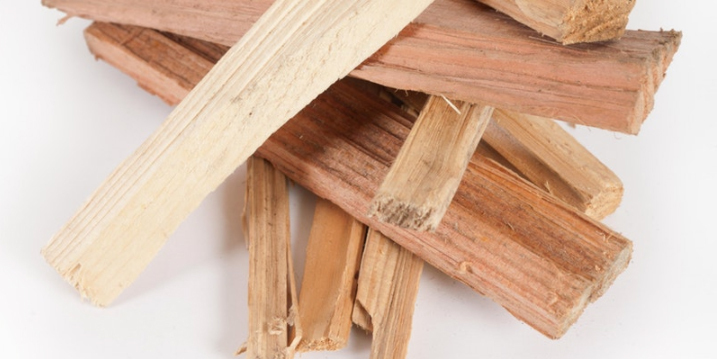 One event worthy of particular mention is Kindling, a "devised performance" created especially for Winter Walk by Drop Forge & Tool. In September, Drop Forge & Tool opened its new space at 442 Warren Street. To celebrate DF&T's first Winter Walk, a group of ten artists--some returning DF&T Resident Artists, some new to Hudson, all creator/performers adept at making something out of nothing--has been invited to spend a day and a half "generating material on the theme of birth/rebirth, a poem by D. H. Lawrence, some classic seasonal songs, and their own experiences of holidays and winter. 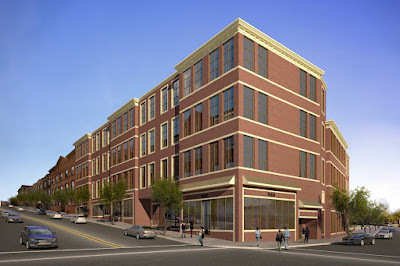 Then they'll mash it all up into a new experience spanning the full three floors of 442 Warren Street." Performances of Kindling will take place during Winter Walk on Saturday, December 2, at 5:30, 6:00, 6:30, 7:00, and 7:30 p.m. Admission is free, but the number of people attending each performance is limited to 15, so you should reserve your space in advance, which you can do by clicking here. The performance length is 10 to 15 minutes. Be forewarned that the experience involves going up and down stairs. For everyone who finds it difficult to get through a week without a visit to the farmers market, there is good news! 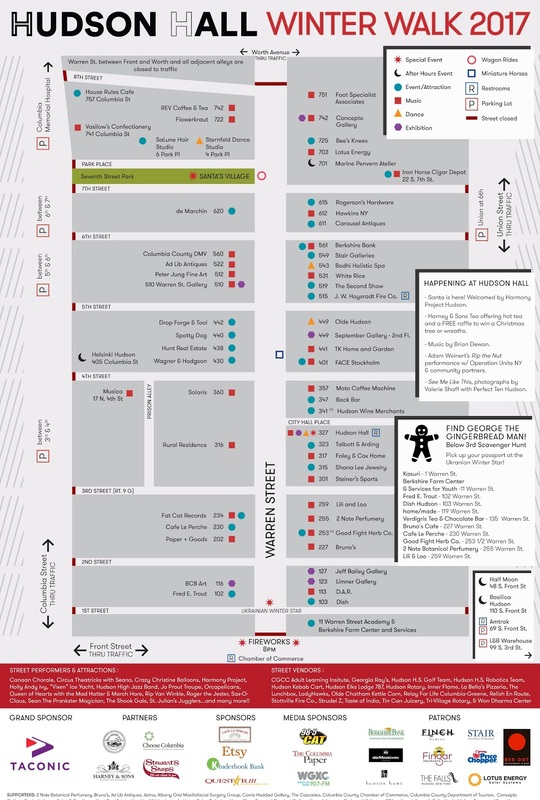 The Indoor Farmers Market returns to 601 Union Street this Saturday, December 2. 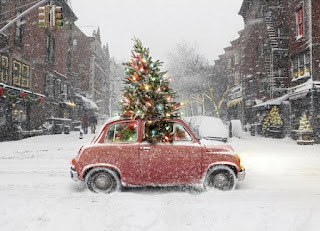 The market will be open from 10 a.m. to 1 p.m. for all five Saturdays in December. 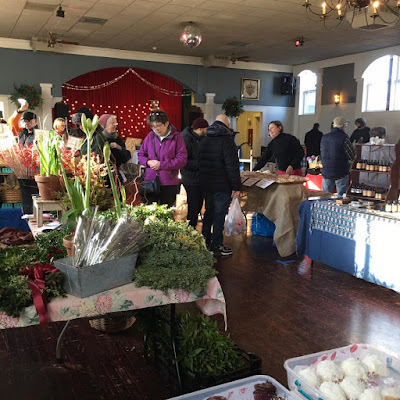 It then takes a hiatus through the bleak month of January but will be back in February to continue through the winter and early spring until the outdoor farmers market returns with warmer weather. The people in the remoter portions of the city territory had for many years been opposed to sharing the heavy financial burdens incident to the city government. The cost of paved and lighted streets--of public buildings--of city improvements generally, was being paid in proportion to their assessments by the citizens four and five miles distant equally with those in the city proper. . . . It is true that perhaps nine-tenths of the people of Greenport--weekly and many of them daily--enjoy all the city improvements, and therefore it was argued that they might justly be required to pay for them. Yet there was danger that useless and unnecessary expenses would be voted by the compactly settled portion of the city despite the protest of the "rural districts." Things have not changed much in the past 180 years. On Election Day, the voters of Hudson and the voters of Greenport were asked to vote on increasing their municipality's support for the Hudson Area Library, which is called the Hudson Area Library because it was chartered to serve both the City of Hudson and the Town of Greenport. For Hudson, the increase was slightly more than 100 percent: from $120,000 annually to $250,000. 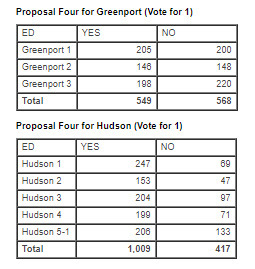 For Greenport, the increase was 400 percent: from $7,000 (yes, that's the right number of zeroes) to $35,000. The outcome of the referendum in Hudson was clear on Election Night: Hudson residents had voted more than 2 to 1 to approve the increased funding. In Greenport, the outcome was different. The referendum appeared to have been defeated by 19 votes, but that could change when the absentee ballots were counted. On Wednesday, the absentee ballots from Greenport were counted at the Board of Elections, and the final results were made available. 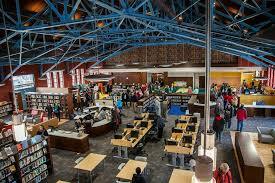 In the final count, the library referendum failed by 23 votes. Going forward, the taxpayers of Hudson will be contributing $250,000 annually to the library--50 percent of the library's $500,000 annual operating budget--and Greenport will continue to contribute $7,000--1.4 percent of the library's annual budget. At its penultimate meeting of the year, the Legal Committee took up the task of bifurcating the failed Local Law No. 4 to separate that part of the law that dealt with nonconforming uses in areas zoned residential from the more controversial part of the law which encouraged the redevelopment of accessory buildings for residential uses by eliminating the offstreet parking requirement for such dwelling units. The impetus for wanting to allow buildings in areas zoned residential to be used for commercial purposes if they were once commercial buildings is the plight of Basil Nooks, who wants to open a restaurant in a building he owns on North Third Street--a building, although vacant for a decade, with a long history of being an eating and drinking establishment. 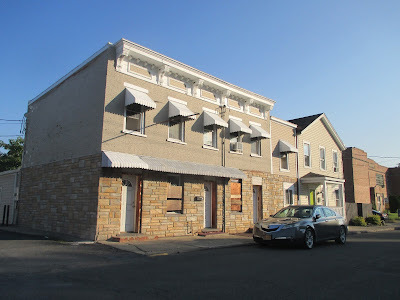 Steve Dunn, a member of the Zoning Board of Appeals and the self-appointed adviser to the Legal Committee, cited other examples of commercial buildings prohibited from further commercial use because they are in residential zones. Among those mentioned were 260 State Street, where a corner storefront that once existed has been restored but a commercial tenant cannot be found because of the limitations on the kinds of businesses allowed there, and the now vacant former Ritter's, on South Third Street, which, because it is in an area now zoned residential, could not re-open as the same grocery store and deli that it had been up until it closed in 2011. The committee and Andy Howard, counsel to the Council, agonized at some length over the language of the proposed amendment to the zoning code, wanting to make sure it would not allow people to turn residential properties into commercial properties, or in the words of Howard, "playing some game of holding a residential building off the market for a year and then trying to make it a commercial building." When they finally settled on the wording, it was agreed that the proposed amendment would be forwarded to the full Council in December, even though it cannot be passed in this calendar year and must be enacted by an almost entirely new Council. Tiffany Garriga (Second Ward), who is the one alderman on the current Council who will remain on the Council in 2018, expressed her commitment to the amendment, "not just to support [Nooks], but" she explained, "he's looking out for the people in the neighborhood," by providing an affordable alternative to fast food for those who wish to eat out but cannot afford to dine in the restaurants on Warren Street. In addition to the news of who submitted proposals for the Kaz site, Gossips learned a couple more things at today's meeting of the Hudson Development Corporation board. First, HDC stands to make $2 million on the sale of the Kaz site. Commenting on the agency's fiscal outlook for 2018, Don Moore, who is the treasurer of the HDC board, said, "While we may be pinching pennies at the beginning of the year, by the end of the year, we may be having to look at a sophisticated investment strategy." Also, on the subject of the Downtown Revitalization Initiative, it was learned that the five subcommittees of the DRI Local Planning Committee created to address community priorities--Retain, create and train for jobs; Encourage mixed-use, mixed-income development; Transportation connectivity; Waterfront; Healthy and affordable food--have been meeting outside the context of a public meeting and will be reporting to the full LPC at the meeting on Thursday night. Also at that meeting, "project intake worksheets," which are presumably to be used to propose DRI projects for consideration, will be made available. The DRI meeting on Thursday, November 30, is a work session for the DRI Local Planning Committee. The public can observe the proceedings, but there will be limited opportunity for public input. 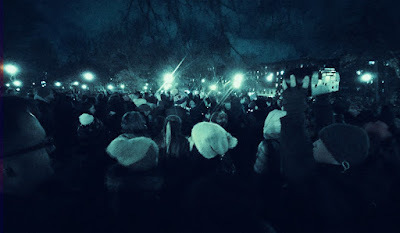 The meeting intended engage the public occurs the following Thursday, December 7. Both meetings take place at John L. Edwards Primary School and begin at 6 p.m.
Bill Williams of 98.5 The Cat is reporting tonight that the absentee ballots for the Town of Greenport were counted today, and, after the count, the Columbia County Board of Elections declared Kathy Leck Eldridge the winner in the race for for Greenport Town Supervisor, defeating incumbent Ed Nabozny by 54 votes. The board of Hudson Development Corporation met today, and, until visitors were expelled and the board went into executive session, Gossips was there. Of the topics discussed, the one of greatest interest was the development of the Kaz site. Four proposals have been received in response to the RFP issued in October. 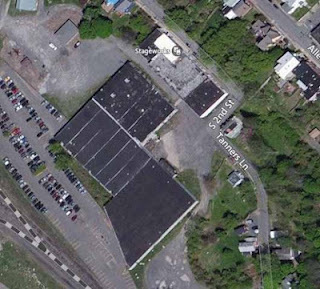 Submitting them are a couple familiar groups: Sustainable Community Associates (SCA), which submitted a proposal the last time around, and Redburn Development, now completing the transformation of the historic industrial building adjacent to the site into The Wick Hotel. 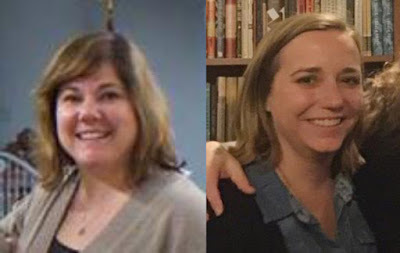 The other two are new on the Hudson scene: Kearney Realty & Development Group and Bonacio Construction, Inc.
Kearney Realty & Development Group doesn't appear to have a website, but a little sleuthing on the internet yielded the following information. 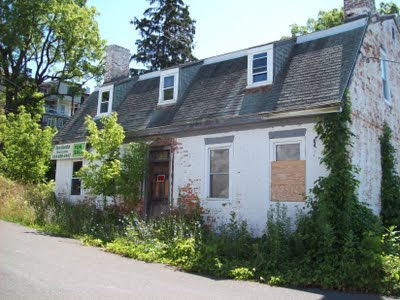 In 2014, they were awarded $3,874,987 to construct 80 units of senior housing in the Hamlet of Pawling. Last summer, they undertook a project in Peekskill called The Lofts on Diven, made up of 50 subsidized artist lofts and 25 market-rate apartments, as well as retail and community space. Earlier this year, they started a project in Poughkeepsie called Queen City Lofts, an apartment complex with 70 apartments--50 for artists and the other 20 to be rented at market rate. "Each apartment will have a 16-foot-high ceiling and a sleeping loft"--hence, presumably, the name. 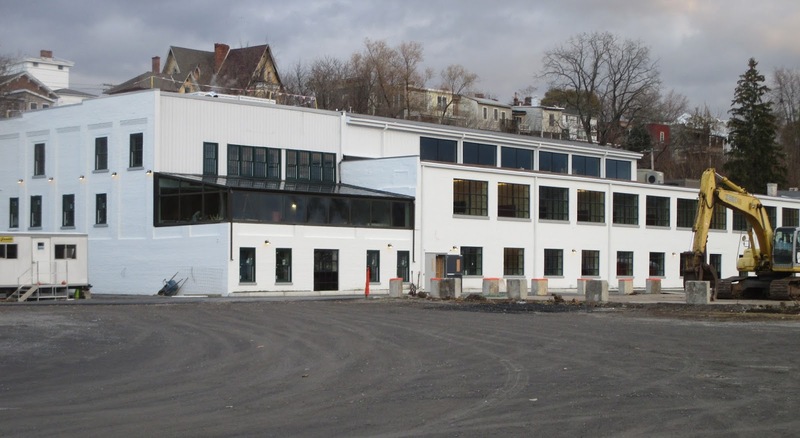 In 2015, Kearney also developed 74 units of work-force and supportive housing in Poughkeepsie. 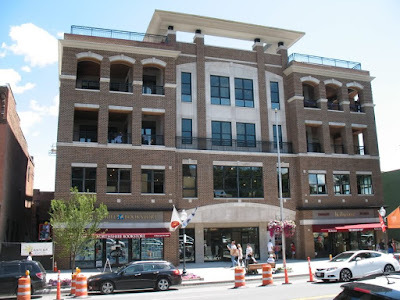 Bonacio Construction, according to an article that appeared in the Albany Business Review in July 2016, "has built more than 200 condos in Saratoga Springs, as well as luxury apartments, a theater, and the building that houses Northshire Bookstore." The quote continues: "After spending several years focusing on luxury apartment buildings and mixed use projects in Saratoga, Glens Falls and Troy, [the company] started construction of its first condo project in more than five years. . . ." In the fall of 2016, Bonacio Construction started work on a $23 million condominium complex on Union Avenue in Saratoga Springs. SCA submitted the same proposal they submitted in April 2016. It is not known by anyone except members of the HDC board what was proposed by the other three groups. Recently, on Facebook, I came upon a list of things no woman over a certain age should have. Along with such items as shoes that hurt, orphan socks, and expired spices, were "tax returns from years and years ago." Old tax returns are one of the things on the list I'm guilty of having. Although the maximum time the IRS recommends keeping tax returns is seven years (and that's only if you file a claim for a loss from worthless securities or bad debt deduction), mine go back more than two decades. 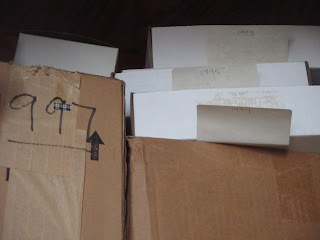 For people like me who need to get rid of boxes of forms and receipts and reclaim valuable closet space, there's an alternative to spending hours (indeed, days) on end feeding documents into a shredder and dealing with the inevitable mess that results when trying to empty the shredder into a trash bag. It's a program with a name that is a rather silly-sounding and slightly patronizing acronym: K.I.S.S. (Keeping Identities of Seniors Safe). If you're over 60, you can take your sensitive documents to City Hall between December 4 and December 15 for free destruction. Documents will be signed over to the City Clerk and immediately placed in a secure locked container. The container cannot be unlocked by any City or County employee. It can only be unlocked by the shredding vendor, a "trusted, bonded company." The program was implemented by Columbia County clerk Holly Tanner and is funded by mortgage taxes collected in the county clerk's office. For more information, click here. On Thursday, November 30, at 6 p.m. the DRI (Downtown Revitalization Initiative) Local Planning Committee is having an extra meeting to get through the things they didn't get to at their last meeting, in preparation for another public engagement workshop on Thursday, December 7. Both meetings, the LPC meeting and the public meeting, take place at John L. Edwards Primary School. Also on Thursday night at 6 p.m., the Cornell Cooperative Extension is holding a Complete Streets Forum. 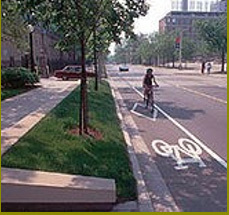 "Complete Streets" are those designed for use by bicycles and pedestrians as well as cars. The purpose of the forum is to discuss "how Complete Streets may benefit the communities of the Hudson City School District and how community members and groups can get involved." The forum takes place at the Extension Education Center, 479 Route 66, in Claverack. One thing to bear in mind when deciding which meeting to attend is that when the DRI planning process began in October, it was predicted that "by December we will be getting very close to the final concept." Observing the last LPC meeting, it's hard to imagine how that will happen, but it's almost December, and it's important to keep an eye on the process. In recent months, the collection in the History Room of the Hudson Area Library has been vetted, organized, and cataloged. As an outcome of this process, books that are duplicates or determined to be "outside the purview of the History Room" will be offered for sale in the Community Room of the library on Thursday, November 30, and Friday, December 1. The sale is from 3 to 7 p.m. each day. Many of the books offered by the History Room are unique and valuable. In addition to books, the History Room is offering for sale a limited number of prints of a 1923 view of Hudson from a dirigible. Two prints, framed to archival standards, will be sold for $450 each, and six unframed prints for $150 each. The unframed image is 23 x 35 inches. 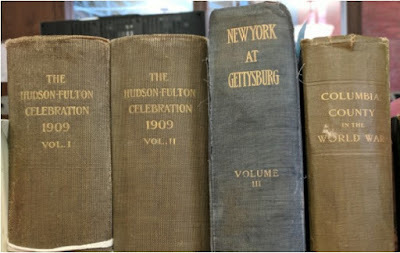 Partnering with the History Room for this sale are the Friends of the Hudson Area Library. The Friends have been collecting books for the past year and a half and now have a selection of current books and art books, all in good condition, which will be offered for sale in the Friends' first book sale in the new library space. For those who miss the good old days of the library bake sale, there will also be fresh, homemade baked goods on offer. Proceeds from the sale of deaccessioned History Room materials and prints will benefit the work and the collection of the History Room. Proceeds from the sale of books and baked goods benefits the Friends of the Hudson Area Library and supports the programming and the general collections of the library. 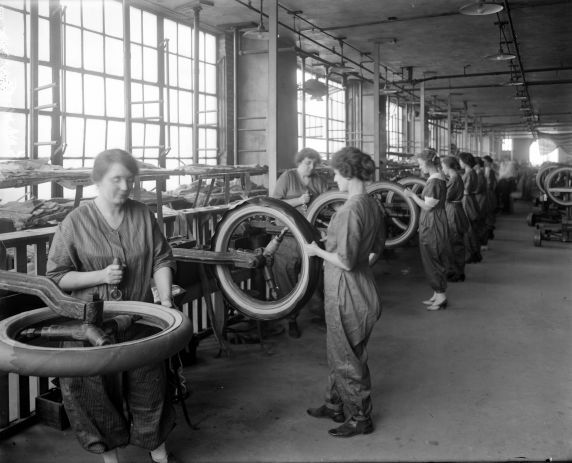 Thanks to Rosie the Riveter, we think of women replacing men in factory jobs as a World War II phenomenon, but it also happened during World War I. 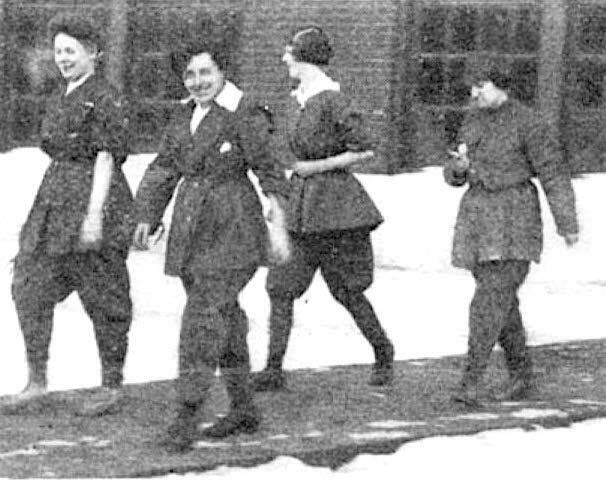 In 1917, when only fifteen of the forty-eight states allowed women partial or complete suffrage and the 19th Amendment was still three years away from being passed, women were replacing men sent off to war and keeping the factories producing on the home front. 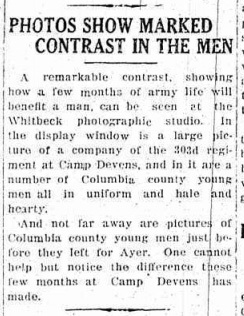 Earlier today, I discovered this item in the Hudson Evening Register for November 26, 1917. For many reasons, it seemed appropriate to share it. 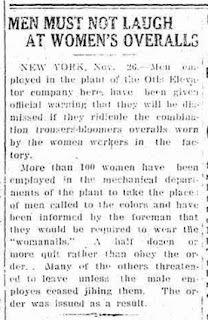 NEW YORK, Nov. 26--Men employed in the plant of the Otis Elevator company here have been given official warning that they will be dismissed if they ridicule the combination trousers-bloomers overalls worn by the women workers in the factory. 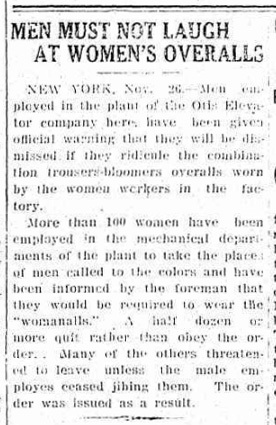 More than 100 women have been employed in the mechanical departments of the plant to take the place of men called to the colors and have been informed by the foreman that they would be required to wear the "womanalls." A half dozen or more quit rather than obey the order. Many of the others threatened to leave unless the male employees ceased jibing them. The order was issued as a result. No photographs could be found of the "womanalls" that were required attire for female workers at the Otis Elevator factory, but these photographs--the first showing women making tires at the Morgan & Wright factory in Detroit and the second, from the March 1917 Scientific American Supplement, showing "modern costumes of female factory workers"--provide an idea of what the "combination trousers-bloomers overalls" may have looked like. 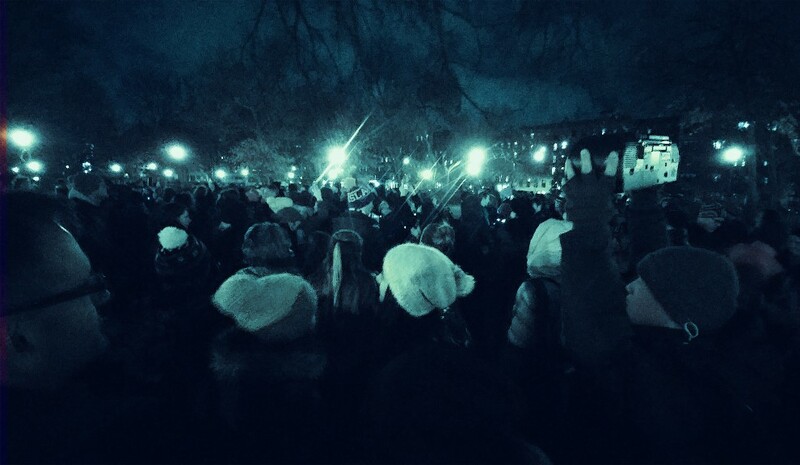 Last year, Unsilent Night, Phil Kline's pioneering work of public sound art played on boomboxes carried through city streets, was part of Winter Walk. This year, in partnership with Wave Farm (WGXC), the event is returning to Hudson three weeks after Winter Walk, on Saturday, December 23. If you were part of the event last year, you will remember that the procession started at the foot of Warren Street and went up to the Public Square. Unfortunately, the length of the route was not equal to the duration of the sound, and participants ended up circling the fountain for twenty minutes or so while the soundscape continued. This year, participants will gather in the Public Square (a.k.a. 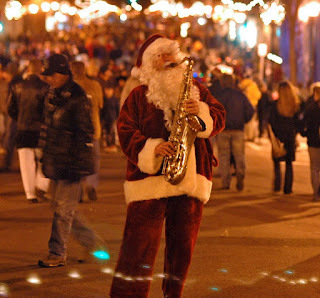 Seventh Street Park) at 7 p.m. on the evening before Christmas Eve, and Kline himself will lead a march through "Hudson's lesser traveled alleys and enclaves, winding through corridors and byways that shade the city's historic streetscape," on a route that will culminate at Promenade Hill. Click here to learn more about the event and how you can participate. 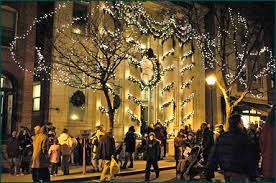 Next Saturday--December 2--Winter Walk returns for its 21st year. Winter Walk, presented each year by the Hudson Opera House, a.k.a. 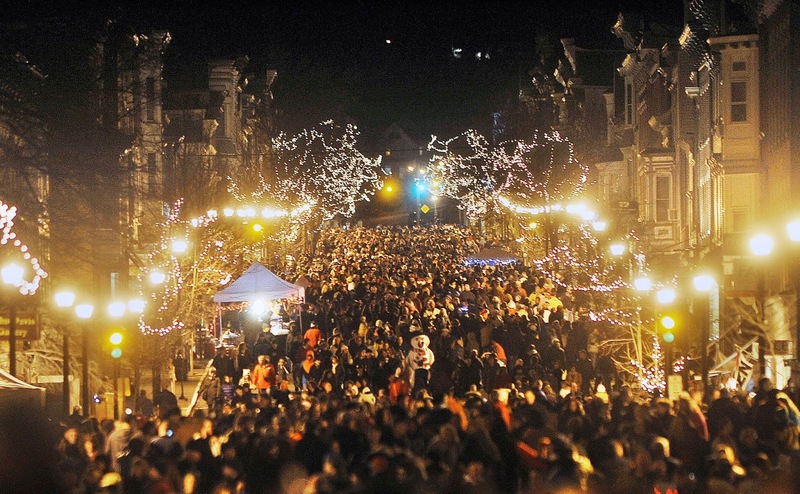 Hudson Hall, is Hudson's "largest, liveliest, and most colorful event of the year." 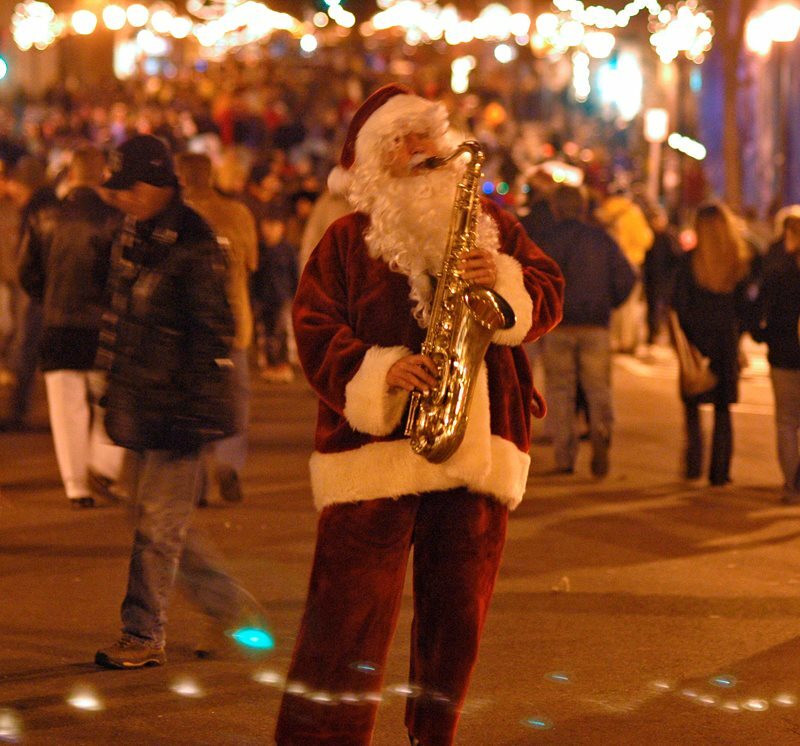 As always, along the length of Warren Street, a cast of roving performers, carolers, costumed characters, and Zuumba flash mobbers will entertain folks on the street, while musicians and dancers perform in shops and shop windows. Worthy of note is Seano the Shakespearean Clown who with students from Montgomery C. Smith Intermediate School will present a hilarious performance that combines poetry, puppetry, parade, and play, developed in an after-school workshop at Hudson Hall. On stage at Hudson Hall, choreographer Adam Weinert, with dancers Logan Kruger, Brett Perry, and Emma Sandall, will present Rip the Nut, a raucous Hudson Valley-inspired mashup of "Rip Van Winkle" and The Nutcracker Suite. This year, there are new features meant to lure visitors down to the western end of Warren Street. There will be a Where's George the Gingerbread Man? scavenger hunt through the shops and galleries of the BeLo 3rd District, and a traditional Ukrainian winter star sculpture/installation by Ukrainian-born Maryna Bilak Haughton at Warren and First streets. The colorful, brightly lighted star-shaped wooden structure, which will stand eight feet tall with eight rays emanating from the center, is an ancient symbol of balance, harmony, and equilibrium. As always, the event begins at 5 p.m. outside Hudson Hall. Harmony Project Hudson choristers will welcome Santa Claus, who will arrive at the hall in a horse-drawn wagon, and help him settle in the West Room to greet visitors and listen to children's holiday wishes. For more information about Winter Walk, or to volunteer to help with the preparations or be part of the festive evening, click here. Once upon a time, before the advent of the automobile, the streets of Hudson were probably lined with hitching posts and mounting blocks. Be that as it may, it is not at all clear that we are ready to embrace what may be the next wave of curbside enhancement to our predominantly 19th-century streets: the electric car charger. Electric cars are more and more becoming a fact of life. Public chargers are few and far between. The plan to install an electric vehicle charging station in the parking lot behind City Hall seems not to be going anywhere. Garages are something of a rarity in Hudson. 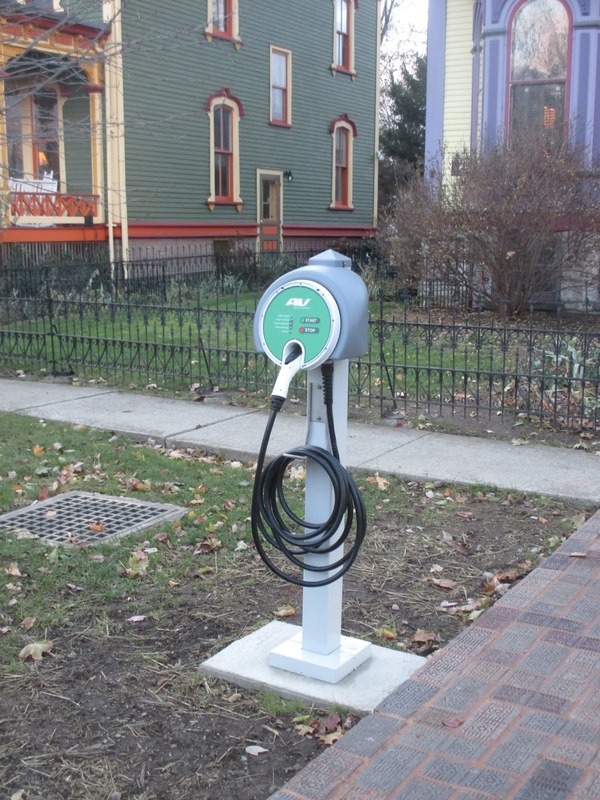 For all these reasons, we can probably expect to see more of these chargers making an appearance along our streets, particularly in historic districts. One may well ask what kind of permitting is or should be required for their installation. Although it remains a little known and frequently ignored fact, a certificate of appropriateness from the Historic Preservation Commission is required for the installation of satellite dishes in historic districts. Should chargers be subject to the same requirement? Those who were here in Hudson in the 1990s and the early 2000s will surely remember Dorothy Lynn. Earlier this week, her obituary appeared in the Berkshire Edge: "Dorothy Lynn, 93, of Lee, formerly of Hudson, N.Y." Some may not have known that she was active in founding the Hudson Area Library in 1959 and the Hudson Day Care Center in 1969, or that she was a top salesperson for World Book Encyclopedia, although the latter distinction is certainly not surprising. Rest in peace, Dorothy Lynn. 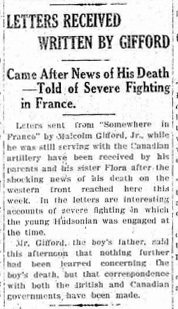 The Death of Malcolm Gifford, Jr.
On Veterans Day--Armistice Day--Gossips remembered Malcolm Gifford, Jr., the great nephew of artist Sanford Robinson Gifford, who, as a member of the Canadian Field Artillery, was the first person from Hudson--indeed the first person from Columbia County--to die in World War I. Gifford was buried in Brandhoek New Military Cemetery No. 3 in Belgium, on the Western Front. 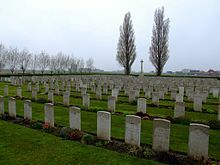 Gifford died on November 8, 1917, two days before the end of the Second Battle of Passchendaele. His father received a telegram from the director of war records in Ottawa on November 19, informing him of his son's death. Three days later, on November 22, the Hudson Evening Register reported that the family had received letters from Malcolm, Jr., written before his death. This news item provides context for this letter from a Canadian chaplain, which was published in the newspaper two months later. Gossips stumbled upon it in 2012. Hudson, Jan. 26--It was the terrific fighting for the possession of Passchendaele in a recent great British offensive that Malcolm Gifford, Jr., of this city, was killed, according to information received here by his father from the Rev. George C. Taylor, chaplain of the Thirty-sixth Battery, Canadian Artillery. The young man's death was previously reported. The chaplain, in his letter, stated that Gifford fell after twenty days' fighting at the utmost point then gained in the British advance. "To die in such a struggle was to crown a life with glory," the chaplain wrote. "It has been said that the Victoria Cross should have been given to every man who took part in it. The work had been tried again and again by others but, when all had failed, our boys brushed aside 'impossibility' and carried all before them. 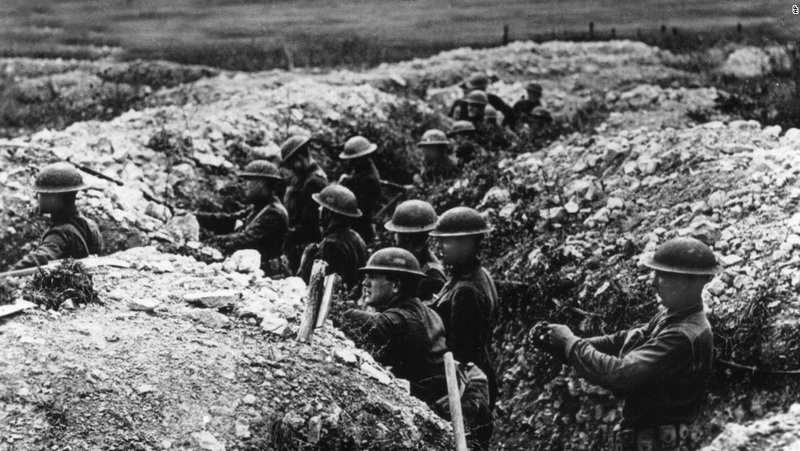 Day after day, no German fire could divert them from their guns. Your brave boy and another fell together. It was a typical soldier's death." 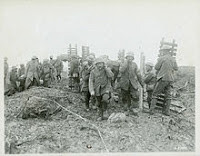 The photograph below shows German prisoners of war helping to carry casualties from the front during the Second Battle of Passchendaele. It's been a while since we pursued the exploration of life in Hudson during World War I. The long Thanksgiving holiday provides an opportunity to return to it. On November 22, 1917, this news item appeared on the front page of the Hudson Evening Register. 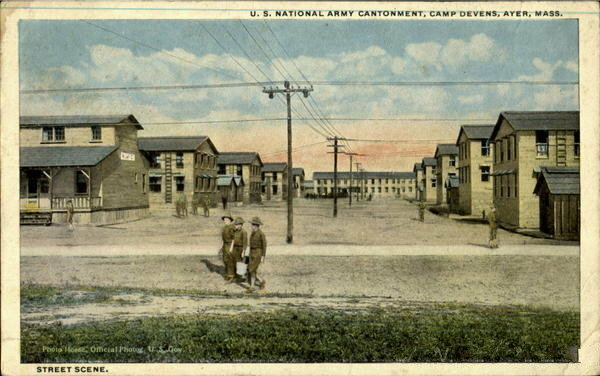 Camp Devens in Ayer, Massachusetts, was established on September 5, 1917, as a temporary cantonment for training soldiers. 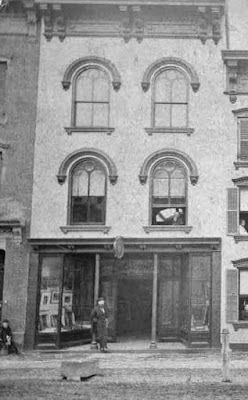 According to the 1913 Hudson city directory, Volkert Whitbeck was the proprietor of Forshew's photograph gallery at 441 Warren Street. 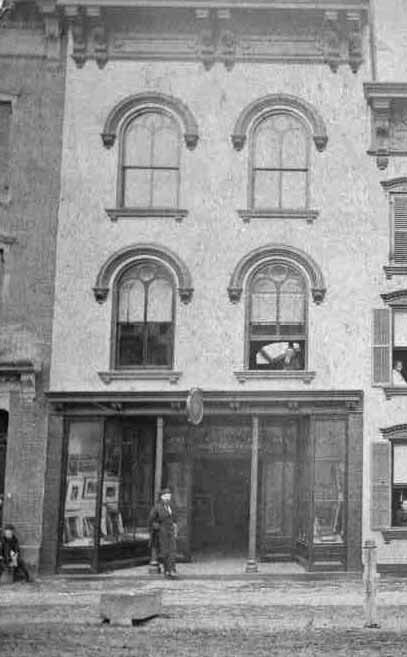 It is likely that the photographs were installed in the display windows of this building. Last night, the Common Council went through its annual November ritual of passing a resolution to add unpaid water and sewer fees to people's property taxes. Accompanying the resolution was a list of all the offenders, which goes on for 31 pages and includes more than 300 names. Mine is among them, along with those of the current mayor and two former mayors, a couple of supervisors, an alderman, and a few prominent business owners. In 2013, the Common Council passed a local law intended to, in the words of then city treasurer Eileen Halloran, "take away an incentive to let you not pay water and sewer bills on time." At that time, in a public meeting, and in 2015, in a post on Gossips, I suggested that the City needed to make it more convenient for people to pay their water bill. The water bill arrives quarterly, seemingly out of sync with any other bills, and, in this age of online banking, it is probably the only bill that cannot be paid online. You have to send a check--in your own envelope--or go in person to City Hall and climb the stairs to the second floor to pay the bill. Is it any wonder that this bill is often set aside, forgotten, and then goes unpaid? In several of his conversational meetings in the five wards, mayor-elect Rick Rector spoke about the arcane methods of billing and payment for the water and sewer bills and made known his intention to bring the system into the 21st century to allow the bill to be paid online. If he succeeds in this, the list of property owners in arrears on their water and sewer bills in November 2018 will certainly be much shorter. Dogs took another step toward being able to walk with their humans in Henry Hudson Riverfront Park without the fear of being cited for breaking the law or the stigma of willfully ignoring it. Last night, the Common Council voted to place on their desks proposed Local Law No. 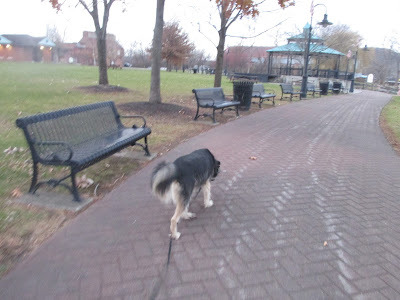 8, which would amend Section 70-4 of the city code "to permit dogs to be present at the Riverfront Park." 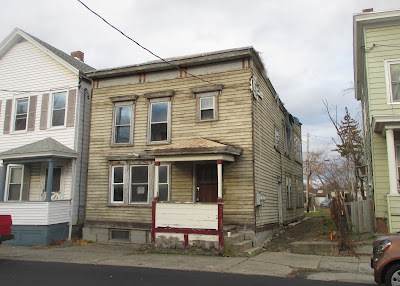 Also last night, the Common Council passed a resolution authorizing the City to apply for a Restore NY grant "for the demolition and redevelopment of properties located at the former KAZ site at 14-17 Montgomery Street." A portion of the Kaz warehouse has already been demolished by the owners of The Wick. 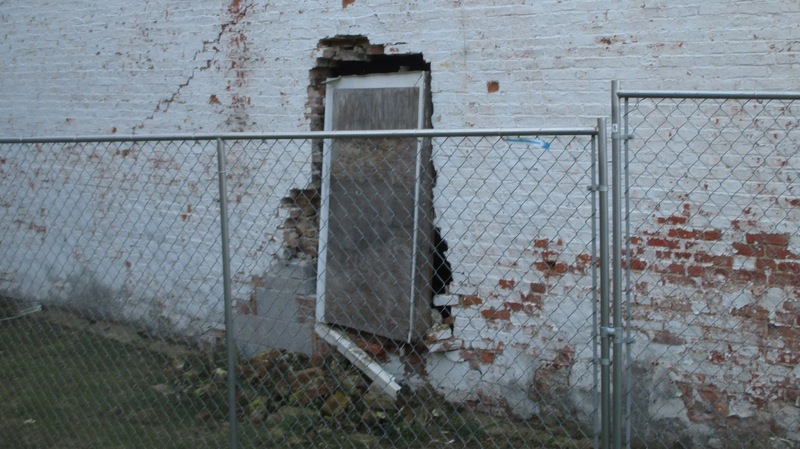 It will be remembered that the City was awarded a $500,000 Restore NY grant at the beginning of this year to stabilize the Dunn building and arrest the deterioration. Eleven months later, none of that money has been spent, and no work has been done to preserve the building. 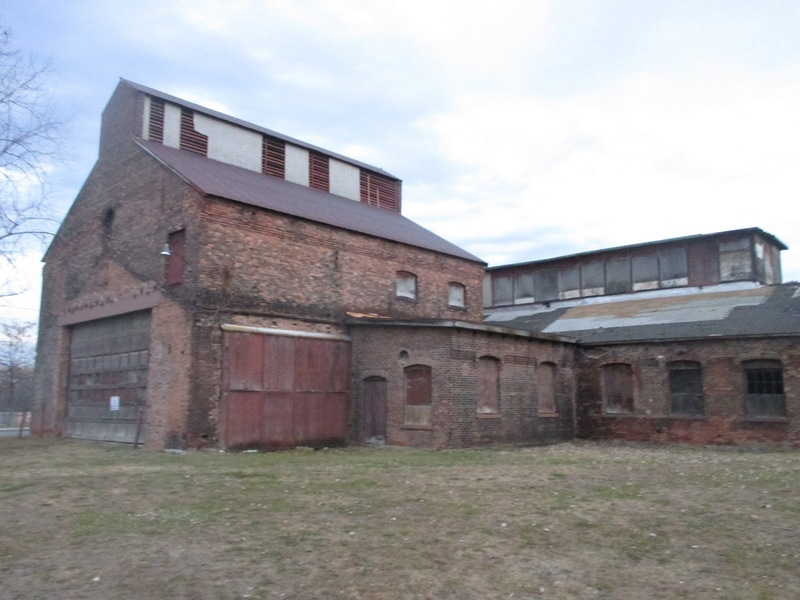 A public hearing on the City's latest Restore NY grant application for funds to demolish and redevelop the Kaz warehouse site has been scheduled for Monday, December 11, at 6 p.m. at City Hall. Local Law No. 4, the proposed law that would waive the offstreet parking requirement for apartments in basements and accessory buildings and would allow buildings in residential districts that were formerly used for commercial purposes to be used for commercial purposes again, didn't fare well in the public hearing about it on November 13. At the end of the hearing, Council president Claudia DeStefano indicated that she thought the proposed law needed some work. At tonight's Common Council meeting, there was no mention of the proposed Local Law No. 4 until Steve Dunn, who it seems drafted the law, asked why the Council was taking no action on it. DeStefano told him she was sending it back to the Legal Committee for further consideration based on the input from the public hearing. Michael O'Hara (First Ward), who chairs the Legal Committee, said he didn't think anything could be done in the Legal Committee. He then launched into a defense of the proposed legislation, responding specifically to objections raised by Kristal Heinz in the public hearing. He dismissed the objections made by code enforcement officer Craig Haigh, saying they were "misplaced." 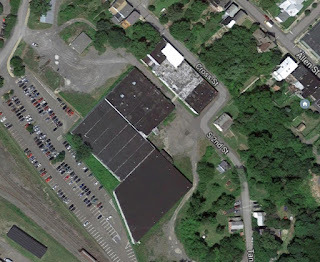 He asserted that the proposed legislation was meant to codify what is now common practice by the Planning Board and the Zoning Board of Appeals regarding offstreet parking requirements. After some discussion, it was decided, given that the proposed legislation has been on the aldermen's desks since August, that the Council would vote on whether or not to enact the legislation. In a roll call vote, Tiffany Garriga (Second Ward), Abdus Miah (Second Ward), Shershah Mizan (Third Ward), and Michael O'Hara (First Ward) voted in aye; DeStefano, Henry Haddad (Third Ward), Alexis Keith (Fourth Ward), Priscilla Moore (Fifth Ward), and Rick Rector (First Ward) voted no. Robert "Doc" Donahue (Fifth Ward) abstained, saying that he didn't understand either the proposed law or the objections to it. After the vote was taken and the law failed to be enacted, Dunn lamented that people hoping to establish commercial enterprises in buildings that formerly had commercial uses would be inconvenienced. 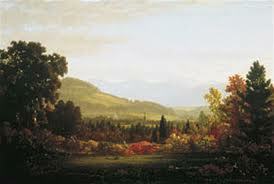 It was then suggested by an audience member (truth be told, it was Gossips) that the law should go back to the Legal Committee to be bifurcated, to separate that part of the proposed law that deals with nonconforming commercial uses from the part that deals with dwelling units in basements and accessory buildings. It was agreed that should happen. 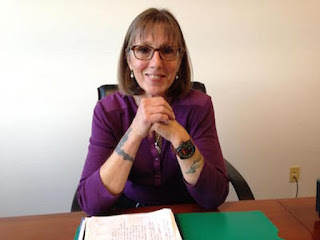 The Housing Task Force, which is running "in tandem" with the DRI process, met yesterday, and there's a report in the Register-Star about that meeting: "Task force tackles housing in Hudson." Some of the things reported seem a bit ominous. 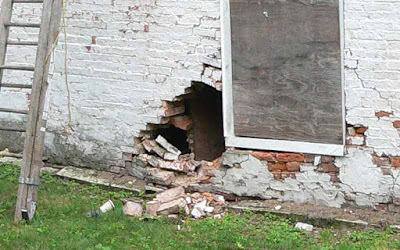 According to a study commissioned by the Columbia County Board of Supervisors, the housing stock in Hudson is in "poor to average condition." Also, according to the study, the housing stock is "very old"; 63.3 percent of it was built prior to 1939. No big surprise. It's a historic city, and its "very old" buildings are what make it appealing to those of us who live here and make it a destination for those who visit. The "poor to average" assessment of Hudson's housing stock makes the heart sink when one recalls that, according to local legend, humiliation over having "the worst housing stock in the State of New York" led to this half a century ago. The article also reports that Mark Morgan-Perez, a member of the Housing Task Force, has identified 96.5 acres of vacant land in the city. Let's hope this time we can provide new housing opportunities without destroying or compromising the city's finest assets--its historic architecture and its historic character. It's another forty-two days before Mayor-Elect Rick Rector is sworn in as mayor of Hudson, but there has already been a change in personnel on the second floor of City Hall. Mayor Tiffany Martin Hamilton announced today that Friday, November 17, was Lisa Walsh's last day serving as mayor's aide. "Over the past two years, Lisa has made a tremendous contribution in support of the City's administration. We thank her for all her hard work, and wish her well in her new life in Beacon, NY, where she has taken a position with the mayor's office." Hamilton also announced that Branda Maholtz was sworn in this morning as the new mayor's aide and will serve under the current administration through the end of the year. On Wednesday, the Zoning Board of Appeals accepted an application to demolish the house at 418 State Street and build a new house in its place. According to the applicant, the existing house has been determined to be structurally unsound. The house is not located in a historic district. The facade of the proposed new house will align with the rest of the street wall, as the existing house does, but the new house will be positioned in the center of the lot instead of off to the left. The project is before the ZBA for area variances--both front and side setbacks. A public hearing on the application has been scheduled for Wednesday, December 20, at 6 p.m., in City Hall. There is a Housing Task Force working in tandem with the DRI. Four of the fifteen members of the task force--Tiffany Martin Hamilton, Matthew Nelson, Randall Martin, and Brenda Adams--also serve on the DRI Local Planning Committee. The complete list of members of the task force and the goals of the task force can be found on the DRI website. The Housing Task Force will hold its second meeting on Monday, November 20, at 11 a.m., at 1 North Front Street. The meeting is open to the public. 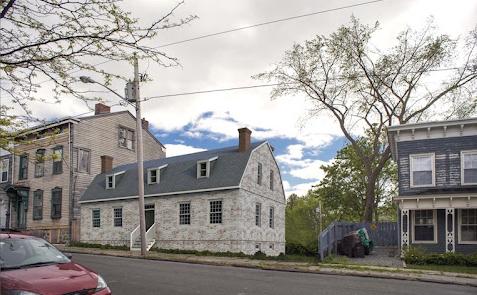 The Robert Taylor house, one of the oldest surviving houses in Hudson and a locally designated landmark, has been owned by Galvan Initiatives Foundation since August 2011. In April 2012, Galvan proposed moving the house to Union Street. The justification for moving the house, which was built by the tanner for whom Tanner's Lane was named, was its location. 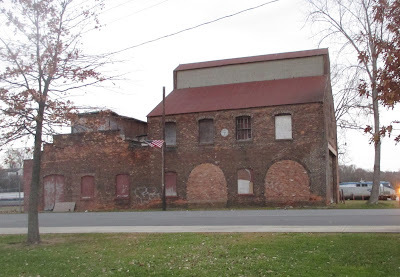 The following is quoted from the press release announcing the intended move: "On its current site the house is somewhat lost, and looks out over warehouses, when originally it looked out over the South Bay towards Mt. Merino, the river and the Catskills beyond." The Historic Preservation Commission denied a certificate of appropriateness for the move. During the discussion of the proposal, HPC member Rick Rector offered the opinion that "restoring the house in its present location could be a catalyst for [neighborhood] improvement." Five years later, it's The Wick Hotel that is transforming the neighborhood, and the poor Robert Taylor House continues to decay. This picture of the north wall of the house was taken earlier today. Two years ago, a hole was discovered in the wall beside this window. It was alleged at the time that it had been created in an attempt to break into the house. That's when a fence was installed around the house. 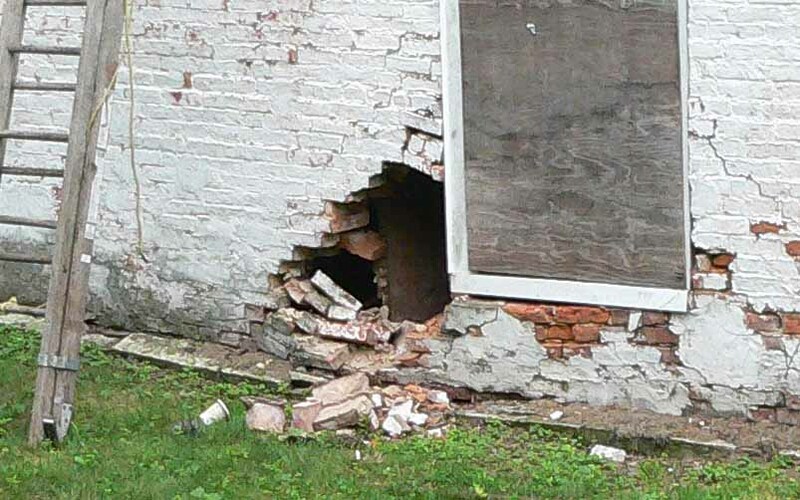 Now the brick around the window frame is deteriorated, and the boarded-up window is falling out.